A decade ago the public could walk in and walk out of any shopping mall, restaurant, and building in the main cities of Kenya and Uganda without any hindrance. Not so any more. Wanjohi Kabukuru reports from Nairobi. There are some dates that are now painfully etched into the subconscious of East Africans. One of them is 11 July 2010. As the FIFA World Cup final was approaching its zenith, a bomb exploded at the clubhouse of the Kyadongo rugby club in Kampala, Uganda. Seventy-four people died and more than 60 others were injured. Al-Shabaab, the Somali terrorist group, claimed responsibility for the attack. It was Uganda’s first solemn experience of imported terrorism. Three years after the Kyadongo attack, on 21 September 2013 to be precise, al-Shabaab struck again. They entered Kenya’s high-end Westgate shopping mall, a model symbol of opulence on the outskirts of the Kenyan capital Nairobi, a place frequented by the high and mighty and diplomats and UN staff domiciled in Nairobi, and started a killing spree. A combined contingent of specialised units drawn from the Kenya Defence Forces (KDF) and the police responded and engaged the terrorists in a firefight. When the military boots left the scene, 67 people from different nationalities had been killed, while hundreds of others were injured. Kyadongo and Westgate have now passed into Somali-Kenya-Uganda folklore. Both attacks are acknowledged as al-Shabaab’s retribution for the Ugandan and Kenyan armies’ presence in Somalia. Since 2007 Uganda has taken the lead role in the African Union Mission in Somalia (AMISOM), while Kenya launched “Operation Linda Nchi” (Operation Defend the Nation) into Somalia in October 2011, after a series of terrorist incidents in Kenya were blamed on al-Shabaab. In 2012, the Kenyan troops engaged in “Operation Linda Nchi” were re-hatted and made part of AMISOM. Despite the attacks in Kyadongo and Westgate, both the Ugandan and Kenyan armies still remain in Somalia, though the two attacks completely redefined al-Shabaab, revealing its capabilities for operating through sleepers and tightly-controlled cells outside of Somalia. The attacks also exposed East Africa’s vulnerabilities and demanded a rethink of the region’s security apparatus. The records show that Kenya and Tanzania first witnessed the horrors of imported terrorism in August 1998 when the US embassies in their major cities – Nairobi and Dar-es-Salaam – were attacked by simultaneous truck bombings. 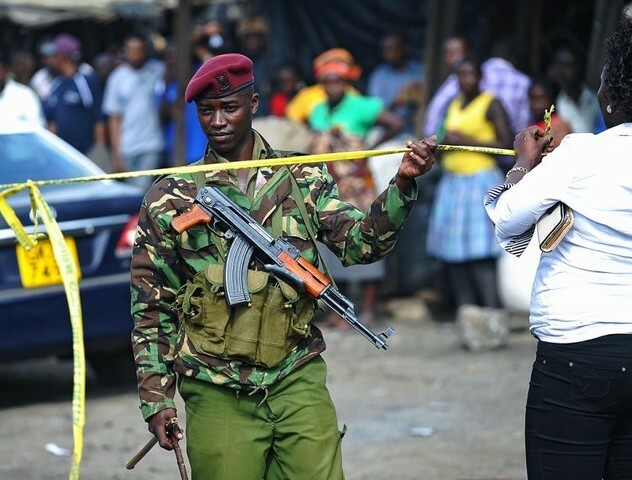 Fazul Abdullah Mohammed, a Comorian national who had a Kenyan passport, was said to have been the mastermind of the attacks. Mohammed was alleged to have been Osama Bin Laden’s confidant in East Africa. In all, 213 people were killed in the Nairobi attack, and 11 in Dar es Salaam. Mohammed was reportedly killed in Somalia in 2011. But the current spate of attacks, mostly attributed to al-Qaeda’s East African affiliate, al-Shabaab, have led to a highly emotive and disturbing trend that threatens more than a dozen African, Middle East and Far East nations. Al-Shabaab, which means “The Youth”, was formed by remnants of the former Islamic Courts Union (ICU) of Somalia which seized power after a US-backed and sponsored Transitional Federal Government (TFG) failed to win public approval. In late 2006, however, the ICU announced its intention to make Somalia an Islamic emirate. This did not go down well with its neighbours, especially Kenya and Ethiopia, who have always viewed Somalia with suspicion. Soon unconfirmed reports hinted that the ICU was giving shelter to al-Qaeda suspects, and this too did not please the neighbouring countries or the US. An elaborate plan was, therefore, put in place by the US Central Intelligence Agency (CIA), which led to an incursion into Somalia coordinated by the Ethiopian National Defence Forces (ENDF). The US was not going to soil its fingers in Somali, again as it did in 1993, which led to its humiliating defeat in October of that year, when it lost 18 soldiers while trying to capture General Mohamed Farah Aideed. The movie Black Hawk Down is a good rendition of that American defeat in Mogadishu. Since then the US has limited itself to proxy wars in Somalia and elsewhere, and this is how Washington ended up supporting the ENDF’s incursion into Somalia with the aim of routing the ICU and freeing Mogadishu of its tentacles. Thanks to the American support, the Ethiopian invasion was successful and a new Transitional Federal Government (TFG) was put in place in Mogadishu. But the seeds of terrorism had been sown! It is this US-backed change of government and the Ethiopian brutal occupation that lasted for three years that security analysts say led to the radicalisation of al-Shabaab from a peripheral player in Somali affairs into a militant organisation capable of waging an insurgency inside and outside Somalia’s borders. The Ethiopians’ three-year occupation of Somalia paved the way for the African Union Mission in Somalia (AMISOM), which had begun deployment in January 2007. Currently, AMISOM is made up of 21,586 soldiers drawn from Burundi, Djibouti, Ethiopia, Kenya, Sierra Leone and Uganda, and another 540 police officers from elsewhere. So far, counter-terrorism measures applied by the respective member-governments of AMISOM and supported by the European Union (EU) and the US have not been satisfactory. While AMISOM has made major gains in stabilising Somalia, winning the hearts and minds of the country’s youth is proving to be an impossible task, well exploited by clerics with fundamentalist ideas. There is a historical reason for this. For decades, Somali nationalists have nursed irredentist ambitions of a Greater Somalia, which encompasses parts of Kenya, Ethiopia, and Djibouti inhabited by Somali people. These were originally Somali territories which were lost to its neighbours during the arbitrary drawing of African borders by the European colonialists. To contain the aspirations of the Greater Somalians, Kenya and Ethiopia not only signed a defence pact in 1964 but have always taken a keen interest in the affairs of Somalia by supporting leaders who abhor irredentism. But this has been a major bone of contention in the region which has, unfortunately, been exploited by Somali politicians with an axe to grind. As a result, in the last decade, all the 11 member-countries of the East Africa Community (EAC) and Inter-Governmental Authority on Development (IGAD) have witnessed increased activism, some religious-oriented. Thrown into this mix is a proliferation of rebel groups and militias with diverse self-serving political and economic motivations. Getting to the core reasons behind terrorism in East Africa has been a preoccupation of the intelligence communities in the region and their political elite – and even academia. But there have been no ready answers. The official position of the governments in the region rhymes with that of the West, which links terrorism to religious extremism. But security operatives interviewed by New African say this viewpoint is not informed by the facts on the ground. Al-Shabaab is not the only headache facing security agencies and threatening the region’s social cohesion, economic gains, and political stability. There are newer groups sprouting all along the east African coast. Indeed, the last decade has been a rough ride for East African security chiefs who operate within strained budgets, and yet are expected to defeat armed militias, dismantle terrorism networks, snuff out religious fundamentalism, and curtail cross-border organised crime. In fact, al-Shabaab is not the only headache facing security agencies and threatening the region’s social cohesion, economic gains, and political stability. There are newer groups sprouting all along the East African coast that are equally lethal. On 17 February 2013, Father Evaristus Mushi, a Catholic priest, arrived in his Mtoni parish in Zanzibar. He was shot dead by two gunmen riding on a motorbike. The killing came after the burning of a 500-seater Protestant church in the archipelago and simultaneous bomb attacks on bars by youths protesting the sale of alcohol on the islands. 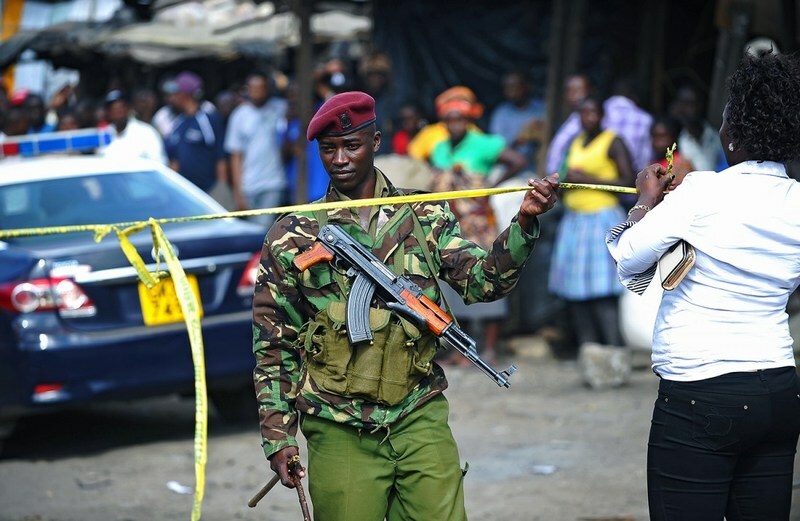 The main suspect in these attacks was the radical Muslim group, Uamsho (Swahili for awakening), whose official name is Association for Islamic Mobilisation and Propagation. A month later, on election day in Kenya, the Mombasa Republican Council (MRC), while planning to disrupt the general elections, ambushed a police convoy. As many as 14 people, including 6 police officers, were killed in the ambush. Uamsho and MRC have two things in common. Both claim affiliation with al-Qaeda and al- Shabaab, and are separatist movements. Uamsho’s goal is Zanzibar’s secession from the Union of Tanzania, while the MRC wants the secession of the coastal region from Kenya. Due to their secessionist demands, Uamsho and MRC are considered to be more political than other groups, but they are mutating fast into radical movements as a result of the high-handed treatment meted to their members by the Tanzanian and Kenyan security forces, and unmet desires. According to Okumu, “those marginalised and excluded from benefitting from the public goods seek means of articulating their grievances. And they usually find them from foreign sources such as al-Qaeda and radical Islamic groups that offer alternatives to their current conditions. The UN al-Qaeda Sanctions Comittee has listed 96 individuals and 14 organisations in Africa which it says are affiliated with al-Qaeda. The damaging effects of terrorism have seen Kenya’s tourist city of Mombasa recording declining tourist arrivals. Facts and figures released by Phyllis Kandie, cabinet secretary in charge of East African affairs, commerce and tourism, show that terror attacks or a perception of them, have undermined the country’s image as a tourist destination. Zanzibar too has not been spared the economic backlash of extremism. In 2012 tourism revenues earned the isles some $170.5m, but this went down to $155.6m in 2013. According to a 2012 integration study by the World Bank, the East African Community (EAC) region grew faster than all the other economic communities in the world except ASEAN, and each EAC member country more than doubled its GDP. But if terrorist extremism in the region continues, the economic gains of the last few years may be lost. To help fight extremism, Western intelligence agencies have invested heavily in anti-terrorism efforts in Africa. Since 2002, the US has leased a permanent military base in Somalia’s northern neighbour, Djibouti. Camp Lemonnier, whose average annual budget is $238m, is the home of the Combined Joint Task Force-Horn of Africa (CJTF-HA) which is the US military’s main anti-terrorism operational base in Africa. Coincidentally, the war on terror and piracy are among the main reasons why Djibouti has earned the moniker “Garrison Country” for hosting various Western military bases and earning substantial revenues from them. Other than Camp Lemonnier, the US military operates two other drone bases in the East African region, at Manda Bay in Kenya and Arba Minch in Ethiopia. The UN al-Qaeda Sanctions Committee in its report, updated this April, has listed 96 individuals and 14 organisations in Africa, which it says, are affiliated to al-Qaeda. Algeria, Chad, Comoros, Egypt, Ethiopia, Eritrea, Kenya, Libya, Mali, Mauritania, Morocco, Niger, Nigeria, Senegal, Sudan, Tanzania, Tunisia, and Uganda are the main African nations caught in the al-Qaeda web. From Afghanistan to Yemen, to al-Shabaab’s Somalia, and going all the way to Mauritania in the west, the grip of al-Qaeda is alive. It is only lately that regional approaches have gained a foothold and made use of the channels offered through the African Union and the regional economic bodies. But while governments have been late on intelligence sharing owing to intrigues of power, suspicions and vested interests, the terrorism networks have taken full advantage of the bureaucracy bedevilling governments. A continent-wide intelligence-sharing initiative is still absent and the Africa Standby Force proposal has been slow to be realised. Among African, Asian and Middle Eastern nations, it is clear that in as much as the UN lists them as being affected by terrorism, there is little intelligence sharing between them. As such, most African countries tend to tackle their respective threats on their own or give their Western allies preference in intelligence sharing while ignoring their near neighbours and other regions. In early May this year, Kenya turned down a request by India’s elite anti-terror force, the National Security Guard (NSG), to study the Westgate attack because Kenya was not willing to share “any such detail with a foreign country”. India, which in 2008 suffered a similar fate as Kenya’s in terror attacks in Mumbai, had to resort to the American FBI for the information on Westgate. To safeguard their hard-earned and decade-old economic gains, the East and Horn of African States will need to collaborate more on terrorism. This will be the first step in diffusing the triple threats posed by the high levels of poverty, radicalism and terrorism in the region. Dr Carlos Lopes, the executive secretary of the United Nations Economic Commission for Africa (UNECA) offers some insights on how to begin the conversation. “Countries in Africa dealing with conflicts,” Lopes says, “do not want to have the real discussions regarding their conflicts. In my opinion, the real discussions are three. “The first is about the economic causes of conflict, which is basically the scramble for resources. The second is the fact that our governance has not been very good in managing diversity. This is what the African Peer Review Mechanism says; so I am not inventing it, as the APRM says it is one of the main problems. We have been bad at it. These loopholes have worked in favour of the terror networks just as vices like corruption have been exploited to aid their missions. Westgate is a case in point of how corruption within Kenya’s security architecture abetted terror. A month after the Westgate attack, 15 senior and middle level immigration officers were fired for “endangering national security by issuing illegal identity cards”. Terror groups thrive on such malfeasance. Indeed Westgate revealed the worst of Kenya’s security system beset by poor salaries, corruption, and a weak command structure, which according to Interior Minister Joseph Ole Lenku “led to serious security lapses”. Ethiopia is the odd one out as its counter- terrorism strategy appears to work and has kept al-Shabaab away. Low funding of security agencies and wanton corruption are the vices that are yet to be tackled appropriately in the region. In the 2013-14 Kenyan budget, the inspector general of police, David Kimaiyo, requested that Parliament allocate the police Kshs150bn ($1.72bn), but Parliament rejected his request and instead offered him $784m. Due to the challenges posed by al-Shabaab, Kenya expects to increase its combined defence budget to $5.5bn by 2018, from the current $4.3bn. Further to this, the mobile phone operator Safaricom has been awarded a tender worth $170.4m to develop a security communications, analytics, command and surveillance system to aid the war on terror. According to the Swedish International Peace Research Institute (SIPRI), since 2011 Tanzania has spent $380m on defence as compared to Uganda’s $465m and Kenya’s $861m. Recently Kenya demanded $132m as a reimbursement for contributing troops to AMISOM, which, since its inception, has seen the European Union (through the African Peace Facility) contributing $445.3m for its operations. Even though heavy capital inflows have been disbursed in the terror war, the cash investment has not altogether eradicated extremism nor immobilised the terror networks. In late March this year, two gunmen entered a church in Mombasa and started firing indiscriminately, killing six people. A week later, the prominent Muslim cleric, Sheikh Abubakar Shariff (better known as Makaburi) was shot dead in unclear circumstances. This was not a surprise though, as Makaburi had predicted his death following the killing of two radical Muslim preachers, Sheikh Aboud Rogo and Sheikh Ibrahim Rogo. The supporters of the Muslim clerics accused the Kenyan government of colluding with Israel and the US to silence outspoken Muslim clerics in the country in the name of counter-terrorism. The government has denied the accusations. But tired of the many terrorist attacks in the country, the government launched “Operation Usalama Watch” just a few days after Makaburi’s death. So far this was the largest anti-terror clampdown in recent times, targeting members of the Somali community in Kenya. But the operation was roundly condemned as a “xenophobic” and “knee-jerk” reaction to terrorism. As Arman explains, terrorism and extremism require a sober and robust discussion to fully address them. “Extremism,” Armaj says, “is a dangerous multi-faceted problem that needs a comprehensive strategy to defuse [it]. This of course would require frank and holistic analysis regarding the cause and effect, in terms of ignorance, social, economic, religious, political and geo-political repercussions. “All these elements,” he continues, “have made the global landscape very volatile and thus fertile for all forms of extremism, both religious and secular. But from whichever side of the argument one comes, the uncomfortable fact that still confronts everybody is the al-Shabaab threat.